Posters are not just for movie theaters and bedroom walls. 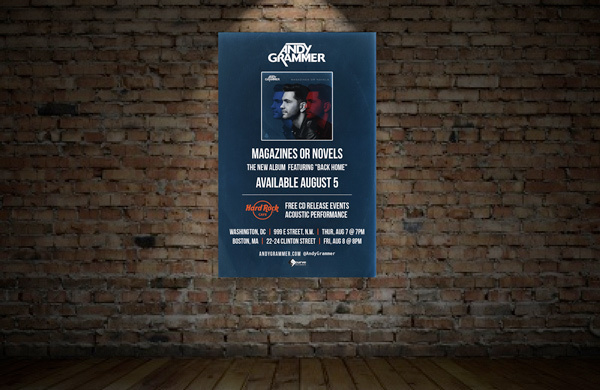 Posters are one of the absolute best marketing tools out there. Poster printing is a fast way to get the word out to the masses no matter what size your customer’s business is, and the economical nature of poster printing makes it the perfect method for business marketing. Want to stand out from the rest, try our premium poster paper stocks, such as our ultra-thick 16-point paper, smooth 15-point velvet or eco-friendly recycled 13-point matte paper stock. "I have already recommended Mirror Image to my friends and colleagues. They did a great job with my CDs and posters, with a fine attention to detail, very fast turnaround time, and competitive pricing. You couldn't ask for a better team to get your product on time and looking great." Have our design team create and outstanding design at an affordable price of $175. Our Posters are printed full color on both sides on 100# Gloss Stock (A thin stock that contains 30% PCW recycled content.) We also offer uncoated stock options as well as environmentally responsible paper. © Mirror Image Media, LLC. All Rights Reserved.